Bring 1 and half liter of whole milk to boil, in a heavy bottomed pan, stirring occasionally to ensure that it does not burn or form skin. Fry paneer cubes in little oil and keep aside. Heat oil in a pan, and add onion paste. Fry till the raw smell disappears. Add ginger garlic paste and fry for few more mins. Then add turmeric powder, red chili, cumin and coriander powder. Stir. Add in tomato puree and salt. Add water. Cover and bring to boil. 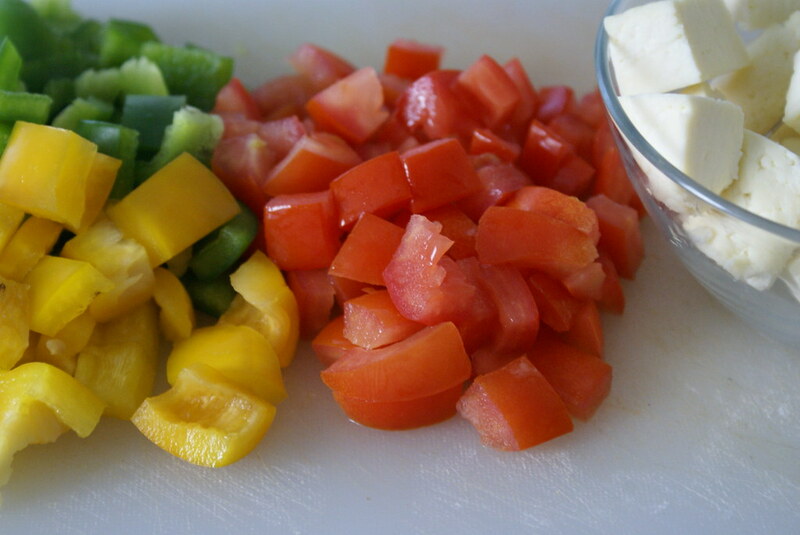 Add capsicum and tomato, and cook covered for 5 mins. Add garam masala, cook till the veggies are done. Finally add paneer cubes and cook for 5 more mins. Add kasoori methi and fresh cream. I am very glad to say that, we (my blog and me) have been awarded, The Rocking Girl Blogger by Padma of Padma’s Kitchen and Archana of Love2EatHate2Cook and a Schoomze Award again by Archana and Laavanya of CookeryCorner !!!!!! Is’nt that nice… it has been only 3 months I have started blogging and receiving these awards, gave me a new inspiration!!! Keep up the Spirit and Keep Going girls!!! Thanks my dear Cinnamon! I am honoured. 😀 And you truely deserve it as well…. I love your style of presentation and neat photography!! Which cam do you use btw? The paneer simply rocks as well! My home made paneer does not stay up so well….. more of a lousy paneer when I follow the exact same way! Must be the milk I guess. Congratulations!! Love the kadai paneer. Hey Sis! Congratulations!!!!!!!!!!!! We are very proud of you. Keep it going. 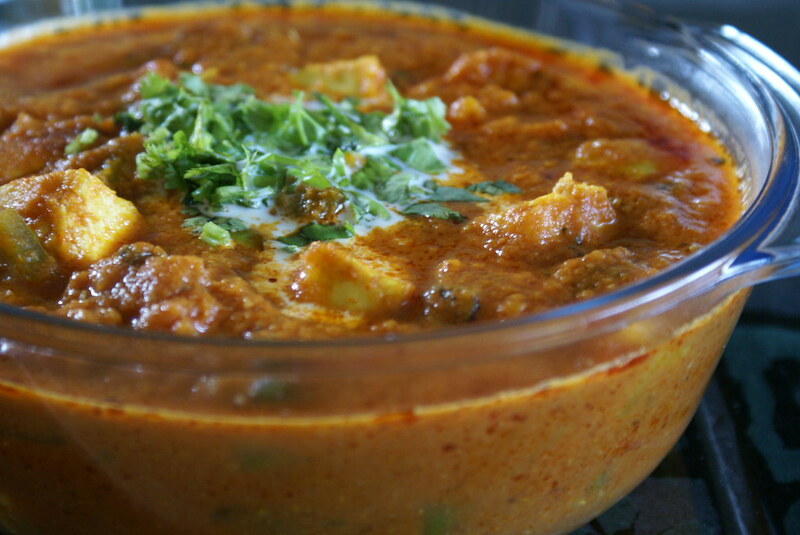 Kadai Paneer is mouth watering…Wonderful pictures!!! Kadai paneer is very inviting. 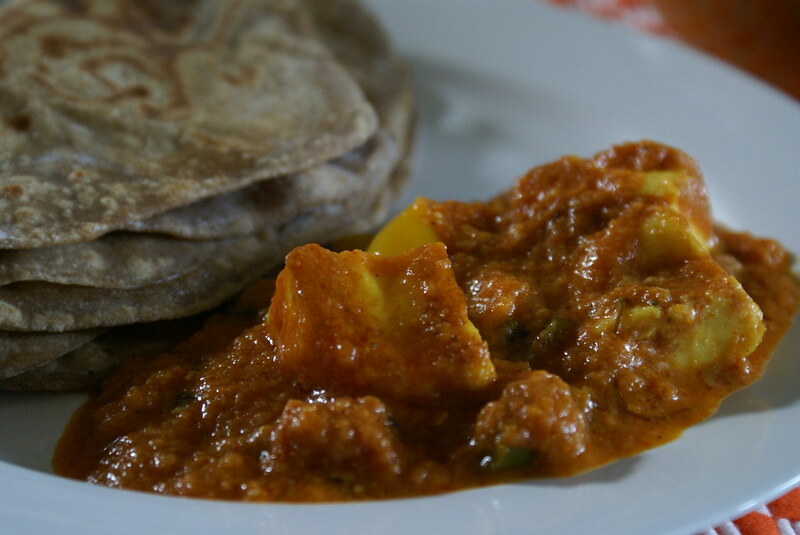 Here i can’t get paneer, so i am going to make home made paneer like you and make this dish as it lokks yum. The Kadai Paneer looks awesome. Lovely Colour.I’m gonna try it. And congrats for the awards! Hey you schmoozing, rockin, blogger! Congrats on the paneer making and the kadi paneer looks so fantastic. And thank you for thinking of me and the award. Congrats for the award. kadai paneer looks great. Congrats Cinnamon..you deserve them …and thanks for passing them…I am honoured..
kadai paneer looks so wonderful..
Coffee, Ya must be the milk… try using whole milk with more fat content! Viji… Thanks and u r welcome ! HappyCook, do try and let me know how it came out! Neelam, Thank You… and let me know how u liked it. Valli, Thank You and it was my pleasure sharing! U deserve them too! Padma, Thankyou. Iam sorry for the typo mistake.. have changed it! That’s a very rich looking curry. Congrats on the award. Kadai paneer looks great in that..er.. glass kadai :). I love how the restaurants serve them in a tiny kadai. congrats on the awards. your Kadai paneer looks very tempting. Cinnamon, congrats on your awards. A question: do you use commercial tomato puree, or your own? I find the commercial variety very sour, just want to know how you solved this problem, if you faced it. Sra, I use homemade tomato puree.. just blend the tomatoes and sieve the paste..
Congrats for the awards and the khadai paneer is looking great. 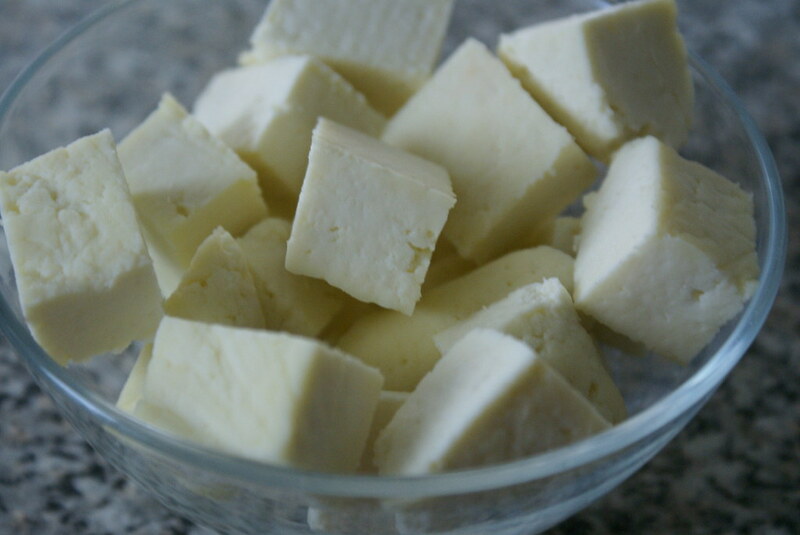 your paneer looks so perfect :O – how do you manage to make it so firm? i usually get paneer that’s good for like use in dough or in like veggies, but i never get cubes!! so what do ya think is the secret? Congratulations! Check out this Paneer Cooking Contest. Wish me luck! Hope to see some of your recipes in there too.